At the end of October in his Bordeaux Report Gavin Quinney wrote about the 2018 vintage, and quite an exciting vintage it looks too. Very helpfully Mr Quinney goes into considerable detail about the prevalent climatic conditions, rather recalling an excellent note written over 25 years ago by an American professor, Orley Ashenfelter. What both these gentlemen do is remove a lot of the subjectivity which can make life difficult for a fine wine investor. For many years, as we know, the doyen of fine wine criticism was Robert Parker, and at Amphora Portfolio Management we have written at length about the consequences of his gradual withdrawal from the fray. In his absence what is a collector to do? One of the answers often trotted out is: determine which of the critics you most agree with, and buy the wines they like. This is as unhelpful for a consumer as it is for an investor, for the simple reason that most consumers’ palates are incomparable to those of the critic, and the best advice for a consumer, because taste is such an individual issue, is to find out by yourself where your own preferences lie through tasting as many as you can, and purchase accordingly. 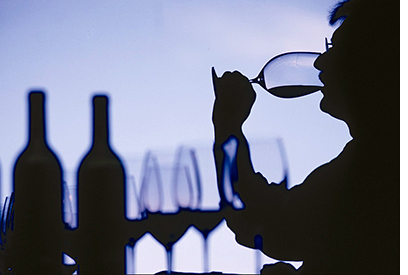 Fine wine investors can’t use their own palate as a guide, because they are trying to make money, not drink the wine. For us studies like Ashenfelter’s are incredibly useful, even as he was rounded on by the “establishment”. Parker himself thought the findings “ludicrous and absurd”, even “Neanderthal”, a response so vicious it appears really quite defensive. All Ashenfelter was doing, after all, was analysing the climatic conditions in any given vintage, and making predictions from that analysis as to the likely quality of the resulting wine. Climatic conditions absolutely condition the quality of an overall vintage. Nothing else does, actually, so the Ashenfelter report was as ground-breaking as it was threatening to the established order. Gavin Quinney uses charts to clarify how much rain fell and when, how warm the temperatures at varying points during the season. This is all lip-smacking material for the sort of algorithm Ashenfelter put to such good use. All investors, within whichever medium you care to choose, should be looking to utilise every tool at their disposal to make investment decisions, because one of the keys to successful investment is to try and work out things which are not yet apparent to the “common throng”. In mainstream markets this is pretty much impossible for most people, but at Amphora we think that there are still not only inefficiencies in the fine wine market, but almost a vested interest in keeping the investor at arm’s length. This is precisely why, when you get in-depth vintage reports like Quinney’s, you should put them to good use. Obviously there is a limit to how far you can go at this stage because the 2018 vintage hasn’t even gone into barrel yet, but from the perspective of building up a picture ahead of the en primeur campaign it is very valuable. Another of his reports is rightly critical of the pricing of this year’s campaign, because the chateaux tried to price the 2017 vintage far too close to the superior 2015 and 2016 vintages, when in fact it more closely resembles 2014 for quality. That said it is interesting to reflect on the last 5 vintages because if 2018 is as good as is hoped then we believe we are able to say that over that time we have been blessed with 2 great years (2016 and 2018), one very good year (2015), and 2 high quality “off-vintages”. From a consumption perspective this is great, clearly, and from an investment perspective we believe that mis-pricings such as the 2017s will turn out to be bargains in years ahead. How can that be? In the same way, in fact, as it has been possible to make very good money over the last couple of years in the badly priced vintages of 2011, 2012, and 2013. What happened with those vintages, and indeed with 2017, is that the pricing was so bad that the take-up was very low indeed. When the take-up is low it means that investors don’t have to waste money warehousing for years wines which have little early price enhancement potential; we can leave that to the chateaux and the negociants, all the while continuing to cherry-pick those back vintages which are throwing up very good value at this point. Mark our words, over the next few years we will be able to return to 2017 and selectively make some very good money indeed. You just have to be patient and unemotional about it. Over the last 2 years the Liv-ex 100 has risen 8%, which is nothing to write home about particularly. Our game is to beat the indices, and to do that you do not follow the hackneyed old lazy advice about buying high-scoring wines from good vintages. Good investment value exists across the whole market place and is often as readily found in off-vintages as on. The above mentioned have done very well over the last 2 years. 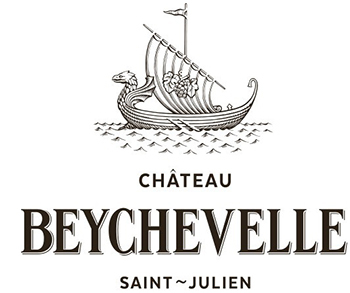 Even humble Beychevelle has an average rise of over 80% for its 2011, 2012 and 2013 vintages. That is an outperformance against the index of 1000%! Carruades de Lafite average 100% over the same time frame in those vintages. And it is not just the lower-priced wines that do well. Angelus 2011 is up 66%, Mouton Rothschild average just under 40%, and Le Pin 2011 and 2012 are up 55% and 42% respectively. We have spent a lot of time pointing these out over the last couple of years, and there are still one or two yet to join the party. Trotanoy and L’Eglise Clinet from 2011, Ausone and Cos d’Estournel from 2012 to name but 4, but the opportunity is passing. There weren’t many 2017s worth picking up earlier in the year, but over the next few years they will enter bargain territory whilst investors have been making merry elsewhere in the meantime. We will be around to point them out, as we watch with interest at how 2018 shapes up both as it goes into barrel and as it is first priced. As usual the chateaux will be trying to squeeze out every last penny, and in doing so will likely confound their own attempts to raise much capital for future production, which is the essence of the exercise, after all.